is one of the most familiar and compelling passages in all of Scripture. Jesus tells the story of the rebellious son who asks for his inheritance, wastes it on wild living, finally decides to come home to repent, and before making it there, his father runs to him and throws a massive party to celebrate. There is, of course, also the older brother who selfishly complains that his brother gets celebrated while his faithfulness is taken for granted. The father replies, in essence, that he is grateful for his consistency, but the person of honor at the moment is his brother. What we're left with is a sense of the Father's gracious love that pursues His children who are far from Him. It is easy for me to have the same kind of attitude about the younger brothers in my ministry. When a nonbelieving student shows interest in faith, I will bring out the red carpet, going out of my way to show unconditional grace to him or her. Come in smelling like cigarettes? Grace. On your phone during the talk? Grace. Dropping F-bombs during small group time? Grace after grace after grace. Appropriately and understandably, we lower our expectations for these students' behavior because they're merely acting consistently with their worldview. I don't apologize for this, and you shouldn't either; but here's my question: Do we extend the same grace to the older brothers in our ministry? If you think our older-brother students are incapable of serious sin (and consequently, serious disappointment to you), you're kidding yourself. When these students have let me down, I can't say my first response has been as grace-filled as I would have hoped. My first response tends to be: "Come on…you know better than that!" Still, every student struggles with something. You only need to think back to when you were their age to remember there were a lot of things you didn't do well. The Holy Spirit needed time to work, and you needed time to win some battles. So how do we show grace for the older brother? • Praise them regularly for who they are, not just what they do. Make sure the older brothers in your ministry are thanked regularly. They're the ones who tend to do the most work, and you may have started taking their service for granted. Even a little encouragement will go a long way, and the occasional handwritten thank-you note will mean the world to the student and to their parents. As you're praising them, remember to celebrate them for who they are, not just their correct actions. Let your students know how much you appreciate them…for them. • Model ongoing Christian repentance. Remind and model for your students how repentance looks, not just for the younger brother, wayward types, but for older brother, redeemed Jesus-followers. That is, help them know you expect them to fall short of the goal, not because they're failures but because they're sinners the same as you. The question is never: Are you going to sin? But: How will you respond when you do? • Talk about the Christian's need for grace. 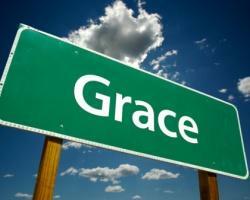 Our students need a robust understanding of grace for the Christian, as well as the nonbeliever. Titus 2:11-12 makes clear that while God's grace has brought salvation, it also is what teaches us to fight the ungodliness that wars against us every day. We need grace before and after we put our faith in Jesus. One of my favorite phrases to describe Christian ministry is "one hungry beggar telling another hungry beggar where to find bread." Just because a student is a Christian doesn't mean he or she is perfect, but still another hungry beggar in need of bread…just the same as you and me.